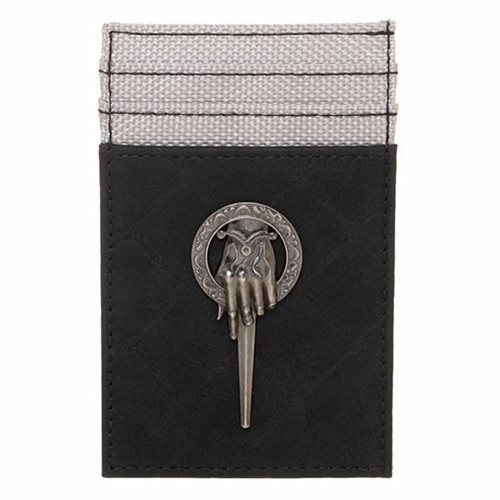 Keep your credit cards and ID handy with this Game of Thrones Hand of the King Front Pocket Card Wallet featuring debossed detail, card slots, a clear ID window, and a metal badge in the form of the Hand of the King emblem. Made of PU, it measures about 4 1/2-inches tall x 2 9/10-inches wide. Ages 14 and up.